The scholarship helps students study abroad in Asia, the Middle East, or Latin America. The Stevenson Center for Community and Economic Development is now accepting applications for the Hoon Mok Chung Memorial Scholarship. The scholarship gives financial aid to undergraduate students to study abroad in Asia, the Middle East, or Latin America. 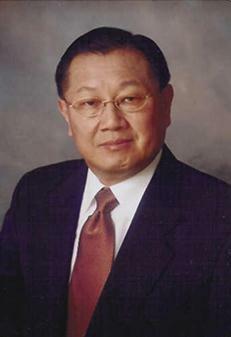 The scholarship was established in honor of Hoon Mok Chung (1939-2005), a professor of political science at Illinois State University from 1971–1979. Following his years at Illinois State, Chung became president of the Import-Export Bank of Korea, special advisor to two presidents of the Republic of Korea, and executive director of the Asian Development Bank. He was also chairman of Hyundai Construction and Engineering, and director of the World Bank. The scholarship is funded by the Hoon Mok Chung Memorial Fund, established by Gary Talarico, a former student of Chung’s at Illinois State University. Joseph Blanche was a recipient of a Hoon Mok Chung scholarship last year. Blanche chose to travel to Japan, a destination and culture close to his heart. 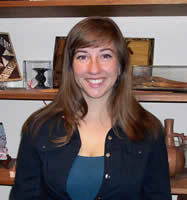 Kristen Gianaris, a senior sociology major, travelled to India thanks to the Hoon Mok Chung scholarship. • Be enrolled in good standing at Illinois State. • Be a sophomore, junior, or senior at the time the award is given. • Have earned at least 30 credits at Illinois State; they should be the most recent 30 earned. • Major GPA of at least 3.5 on a 4.0 scale. If you are interested in studying abroad in Asia, the Middle East, or Latin America and wish to learn more about the Hoon Mok Chung Memorial Scholarship, call (309) 438-7090 or visit StevensonCenter.org. 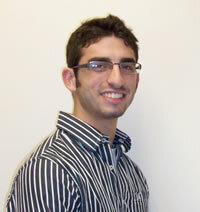 Brad Johnson is a public relations intern at the Stevenson Center.